Playa Las Flores and the wild East. 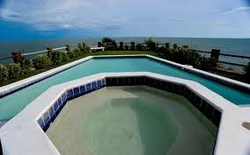 Playa Las flores is located in the East side of the country in the department of San Miguel. 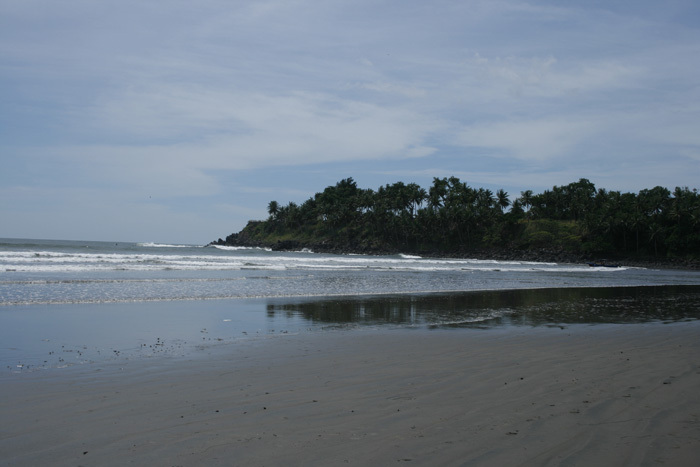 because is far away from La Libertad and the capital city the enviroment is more natural, it was one of the last spots that was discover in El Salvador, an amazing wave with sandy bottom. A few meters is the town of El Cuco, a nice small town with several restaurants infront of the ocean and a long sandy beach, one of the most beautifull beaches in the country. There are different options in accommodation, you can stay in a low budget accommodation right on the beach but rooms are not confortable. small without windows, just with fan, rates for this type of rooms are US$25, and to get there is always better to hire a guide or private transportation, bus access is complicated. 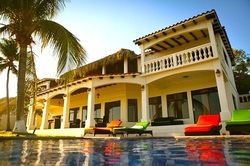 If you are looking for confort several surf hotels and resorts are available in the area but with higher rates than in other areas of the country, rates for private bathrooms and Air conditioner rooms are around the range of $100 per night, but you can contact them and get a quote, we will provide you a few suggestion bellow. Playa Las Flores surf Hotel. boutique surf resort Playa Las flores. 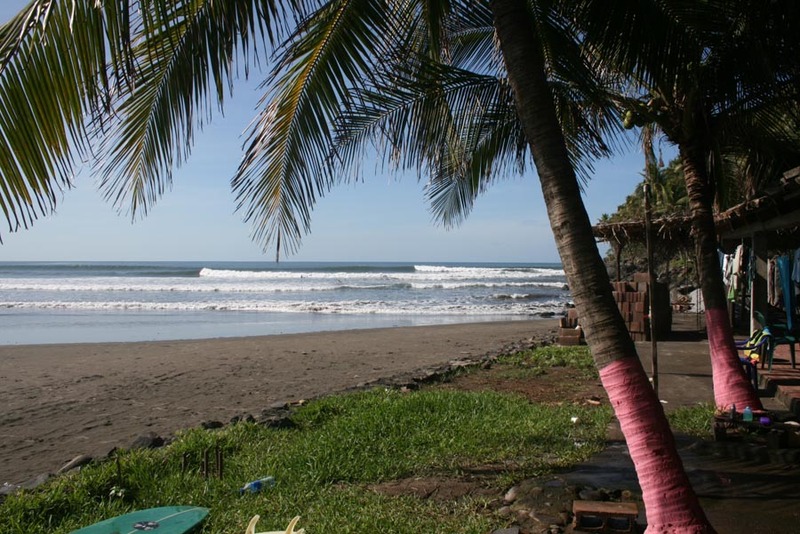 El Salvador Surf hotel Surf travel website of El Salvador, find all the information of surf and travel, the different spots and services like surf lessons, surfboard rentals and also hotels and surf hotels all of them with the best location right infront of the different spots of the coutry.